My flight essentials and anti-jetlag skincare heroes! As you know, I was in New York last week and whilst we had a reasonably timed flight on the way over, we flew overnight on the way back and usually that would mean that my skin would suffer, however this time, a few really effective products prevented the signs of jet lag. Some I used during the flight and others afterwards and I want to share them with you today! I didn't wear makeup for the flight but I looked semi put together as I had my brows waxed and tinted and lash extensions applied just before going (last minute decision and totally worth it!) so I just did my usual skincare routine that morning. When I got on the plane, I applied a good spritz of Omorovicza Magic Moisture Mist, which provides light hydration and I also used this throughout the flight as it's so easy to top up and is perfect for travelling as it's a 50ml bottle. I then applied a Verso Reviving Eye Mask under each eye (I didn't care if it looked strange - I'd prefer a few odd looks to dehydrated skin!) - these eye masks are brilliant! They soothe, hydrate and plump the eye area - if I could afford to use them daily, I would! I then slathered on a layer of Clarins Beauty Flash Balm, which I adore because it really hydrates, plumps and brightens my skin. I finished by applying Laneige Lip Sleeping Mask, which is now an essential for me because it has kept my lips soft and smooth ever since I bought it - if you suffer from dry lips, you really need this is your life! Throughout the flight I also liberally applied L'Occitane Shea Butter Hand Cream, which was in my advent calendar - it's really nourishing but not greasy! It's essential to use as many hydrating products as possible after the flight and a brilliant addition to my routine has been Dr Roebuck's Ultimate Hydrating Serum. It has quite a thick, gel texture but it isn't sticky and the hydrating effects can be felt immediately. Skin is left nourished, plump and feeling stronger. I use this in the morning and at night, I use Estée Lauder Advanced Night Repair, which you all know that I love. It mimics the effects of 8 hours of sleep and does everything I could want it to do and more - it hydrates, smooths, repairs, calms and plumps the skin. It has been a consistent part of my routine for around 10 years now, which speaks volumes about the results. The other product that I swear by is Omorovicza Midnight Radiance Masque, which really does give overnight results. Whenever I use this, I wake to smooth, clear, soft and plump skin that looks bright and glowy. I brought a small pot of it on holiday to combat the effects of less than optimal food choices and it worked a treat! Review here. Have you tried any of these products? I'd love to hear what you use to fight the signs of fatigue? All products are bought by me, unless otherwise stated. 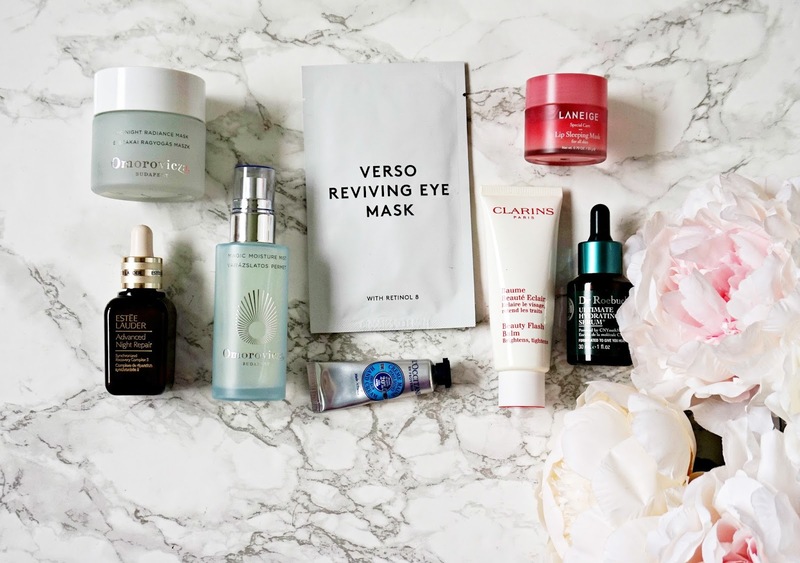 The Verso Eye Mask, Omorovicza Moisture Mist and Dr Roebyck serum were kindly sent to me. Opinion is always my own.